There are only three more performances left of my solo show, 185 Buddhas Walk into a Bar. Every single performance has a different opening act and Kelsie Huff is opening for me this Thursday. Why keep waiting to check out the show? Please stop by and allow me to share my story with you this week. Mayne Stage, and throughout the suburbs. Huff’s humor has “an infectious joyousness that makes you happy to be alive” and she “makes confident choices and creates loud, defined characters that are both unbearable and hilarious”. Kelsie has been described as a “Midwestern American Intangible Cultural Treasure” who makes the audience feel as though they have been transported from a dark comedy club to a private slumber party. Her one woman show Huffs was given a 4 out of 4 review from Boulder’s Daily Camera, was a “Don’t Miss” in Time Out Chicago and won the Boulder Fringe Festival Encore Award. Kelsie also received the Camera Eye Award for Best Performance by an Actress in a Leading Role (Comedy). 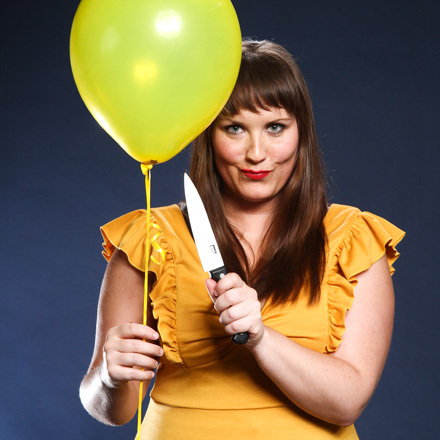 Kelsie’s second one woman show, Bruiser: Tales from a Traumatized Tomboy received 4 out of 4 stars in the Chicago Stage Review, Best Solo Performance of 2011. $12 in advance, $15 at the door Buy Tickets! The art of improvisation creates stories from thin air, making the unseen seen. For Amanda Rountree, this is not just an artform, but a way of life — one that includes unexpected twists and turns — leading, if not to mastery, to enlightenment. Written and performed by Amanda Rountree, and directed by Jen Ellison, this show follows the artist on her path with all of the funny and touching moments along the way. 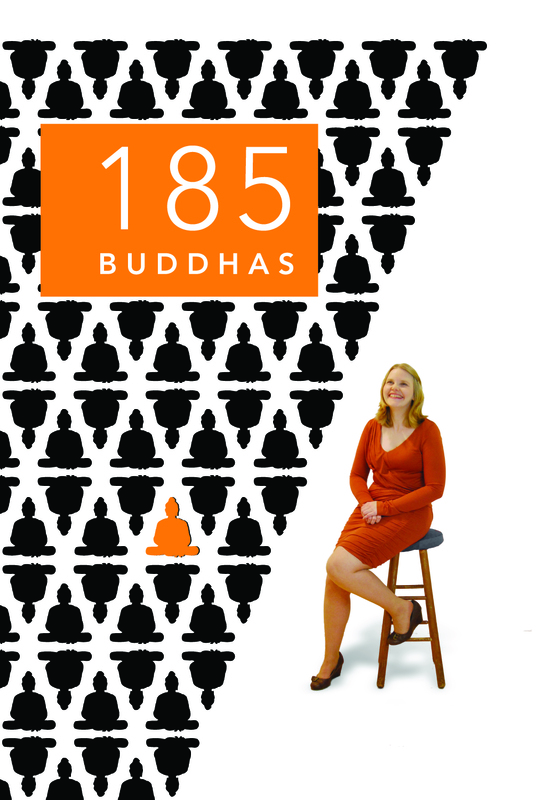 Previous Post The next performance of 185 Buddhas is on March 14! Next Post Only three more chances to see 185 Buddhas!